Born: 1933 Apr 22 in Cardiff, Wales (became US citizen 1966 Feb). Qualifications: (1955) BS in chemistry from University College, Cardiff; (1958) PhD in chemistry from University College, Cardiff. 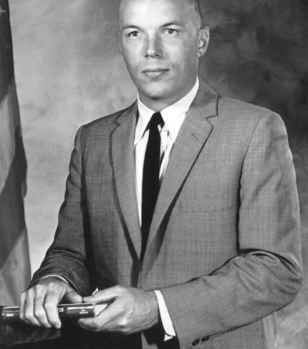 NASA career: (1967 Aug 4) selected as a NASA scientist-astronaut, Group 6; (19671968) astronaut academic, simulator and jet pilot training programme; (1968 Aug) resigned from NASA due to his inability to progress through the USAF jet pilot training programme. Took a position as Professor of Chemistry, University of Southern Florida, Tallahassee, Florida. Llewellyn never flew into space.